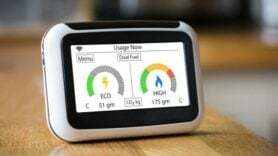 Energy companies are destined to use apps on smartphones for day to day processes like reading meters – and the switch could save them money. That’s according to Wybe Horsman, ‎App Centre projects manager at IT services firm Capgemini, who spots a shift from “very specific” devices towards using more “generic” consumer-style apps. He has helped Capgemini develop an app telling meter readers what addresses they need to go to and which part of a city to visit. In a recent project for Dutch gas and electric supplier Enexis, engineers used the app which links up with Google maps and street view to find properties. While he couldn’t reveal how much money using apps saved versus older technology in the Enexis project, he pointed to the big gap in price between old “big and bulky” meter readers and off the shelf phone handsets. In the past it would take six to 12 months to deploy new software but the app took 2 months to develop and deploy and needed no extra training, he added.